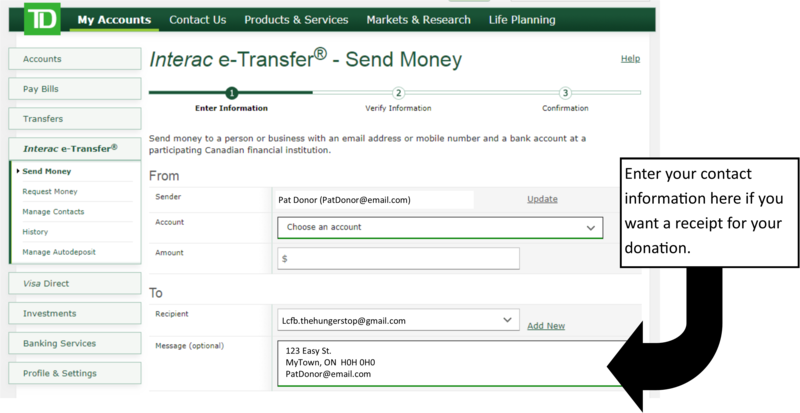 If you wish to receive a tax receipt at the end of the year, please include your contact information in the e-transfer Message section. See example below. Please put your mailing address in the message section to receive a tax receipt. And you’re done. Thank you!